I Just Need More Glue, Paint, Pens and some Fun Paper . 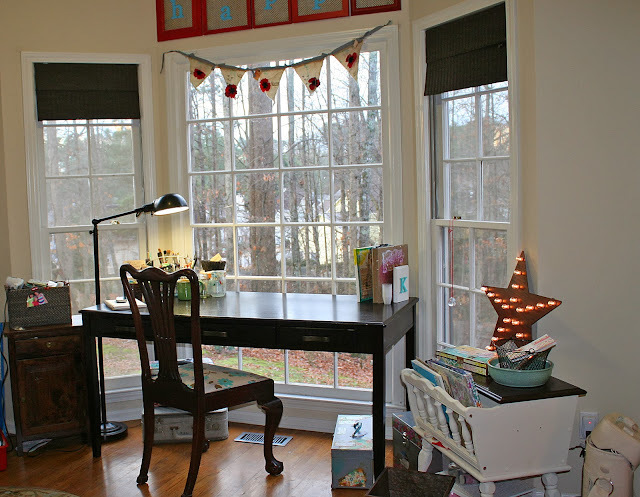 . . : $3.63 = My New Desk!! $3.63 = My New Desk!! One of my friends had this awesome desk that was just too big for her house ... lucky for me!! A foot longer and a foot wider than my old desk - it gives me SO much more room to make a mess!! I am SO excited!! But I was really worried ... my last desk was a complete mess of dried paint, glue and permanent spray!! I really didn't want to ruin this desk too! After a little bit of research, I found that I could get a sheet of plexiglass cut to fit my desk . . . but it was pretty expensive. I knew I didn't want to spend the money on plexiglass ... 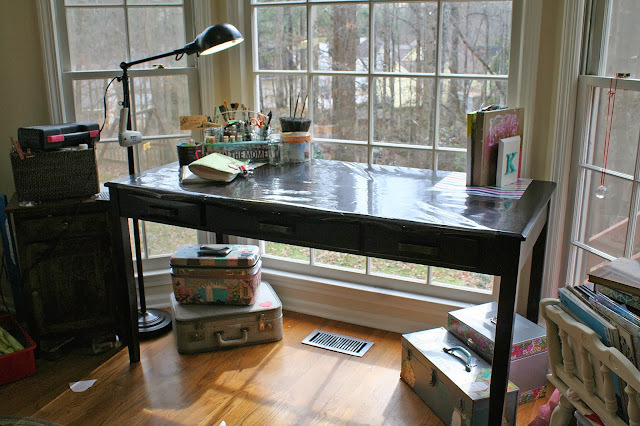 I turned to Pintrest, of course, and I found a desk that had been redone with oilcloth!! Too cute!! I got in my car and headed to JoAnn's this morning. Unfortunately, the oilcloth selection was pretty slim and ugly. But on the bottom of the vinyl/oilcloth display was clear vinyl . . . BINGO!! 1 yard extra wide was $6.99 - steal!! Amazingly, I was prepared and had a JoAnn's coupon . . . 50%!! Whoohoo!! 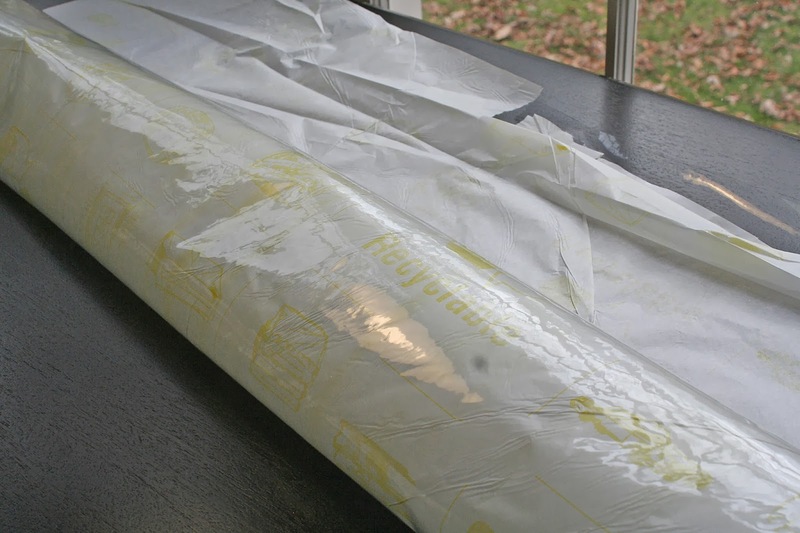 1 yard of clear vinyl $3.63!!! And it totally satisfied my, 'I have to do this now' feeling! I took out my toolbox and staple gun!! (I know it is pink . 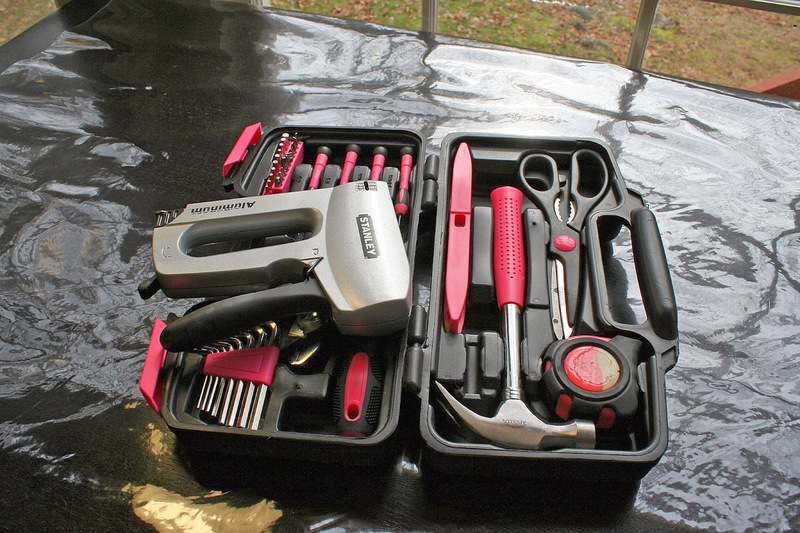 . . but my husband gets really tired of me putting his tools back 'wrong.' Even though my way of organizing makes MUCH more sense!!) 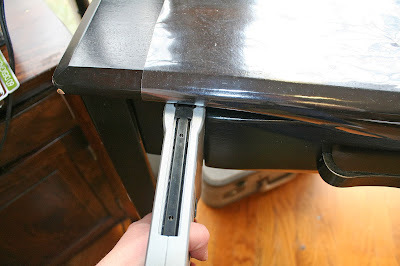 And I stapled the vinyl to the underside of the desk! I honestly have no idea how the vinyl is going to hold up. And it doesn't stretch all the way to sides of the desk, but for now I will give it a go!! 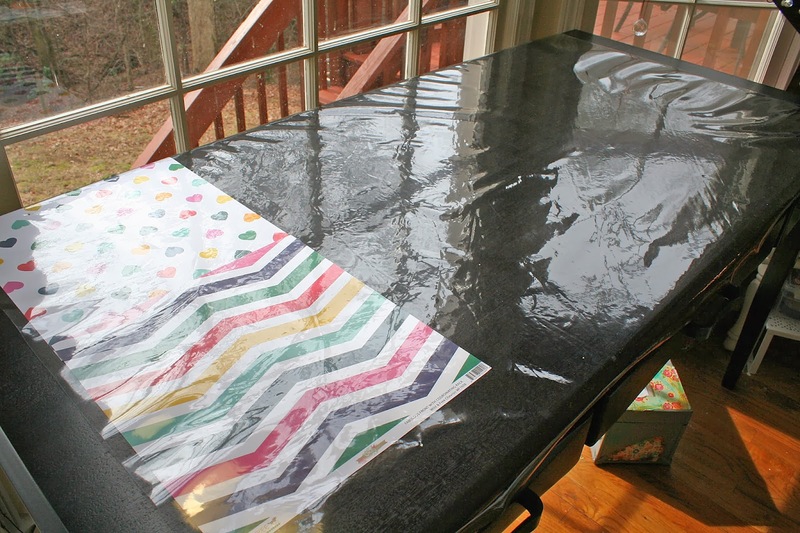 But it looks good and I can even put cute paper or mementos under the vinyl and see it!! Oh, I really hope it holds up!! And now . . . 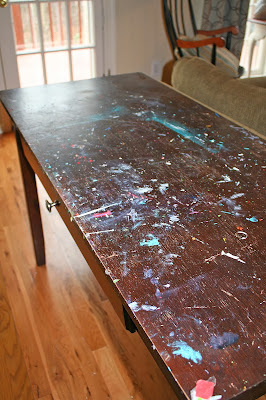 I have the fun project of redoing my old desk!! Bring out the sandpaper and paint!! Yeah, another project! !